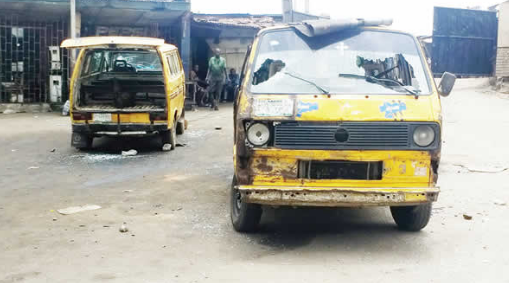 One person was shot dead and many injured in Lagos on Wednesday as commercial drivers and policemen attached to the Lagos State Task Force on Environmental and Special Offences (Enforcement) Unit clashed in the Mile 12 area of the state. 10 vehicles were vandalised with broken pieces of glass scattered all over the area. 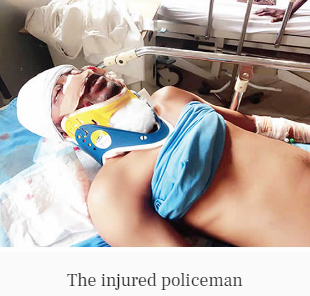 The Punch gathered that the clash, which began around 10am, was as a result of the resistance by some drivers to arrest by the task force personnel. Mutiu noted that on Tuesday the task force personnel were prevented from making arrests by soldiers around the area. The state Police PRO, DSP Bala Elkana, confirmed that one person was killed in the clash.